Has the guy you say you love behaved badly: cheated, yelled, belittled, put down, run off, or badmouthed you? So many times, women write to me and ask how to get back a guy who has behaved badly. The guy has moved on to greener pastures and unsuspecting victims, yet they lament to me that they really love him and want to know how to get him back. Women with so little self-esteem and self-confidence, that they honestly believe they deserve to be treated so poorly. Women who actually think that it is their fault that the guy behaves badly. Women who believe that they will be alone forever if this mess of a man goes away. Women who think they can nurture, nourish, or love a guy enough that he will change. Women who mistake being used for being loved. 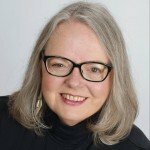 Women who have been sexually abused and think that being used is no big deal. Women who are crying out for love, and maybe have never had it, so they don’t know what it looks like. Women who are afraid to be alone. OK, enough with the list. You’ve got the idea. If you recognize yourself in the list, don’t despair. You just need help to see yourself as a woman who deserves to be loved, cherished, trusted, respected, and adored. And, you can! So, when a woman writes and asks me how to get back a man who is not worth getting back, I tell her straight up. Give your head a shake, and let’s get you some relationship help right now. 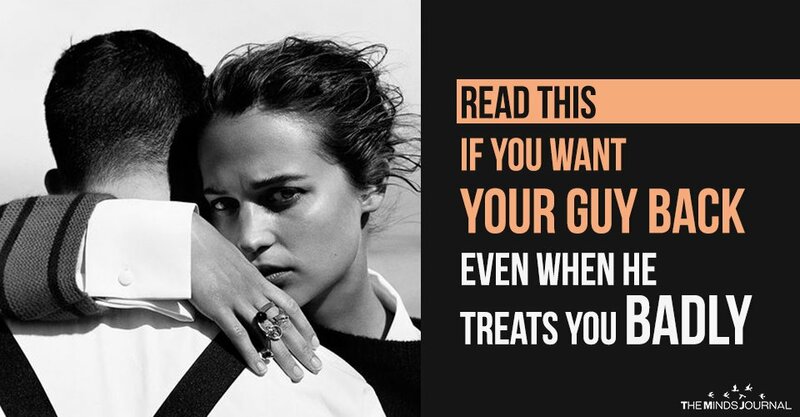 Stop running after a guy who treats you badly. You can have a man who loves you, shows you that he loves you, and one that you love in return. It starts with actually loving and respecting yourself. Let’s work towards that. CAVEAT: I’ve written this about guys who behave badly, and the women who say they love them. 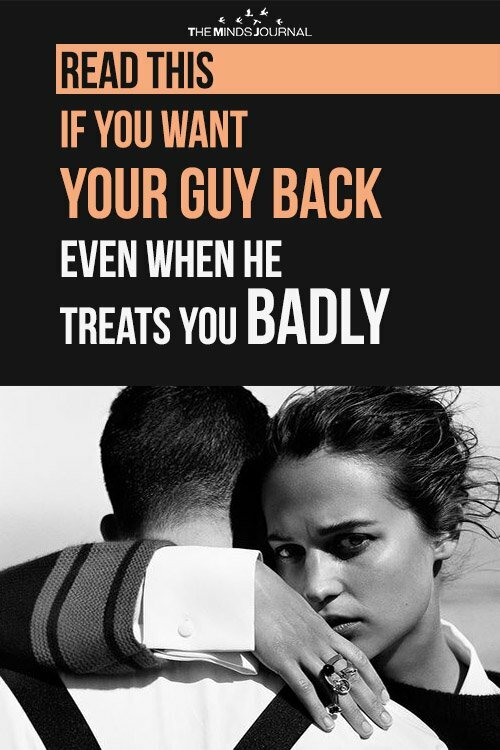 Stay tuned for a blog post on the opposite: when a women treats a guy badly and he wants her back. If you are ready to be that women who knows she deserves love and respect, let’s work together right away. You can make your own appointment for an in-person or Skype sessions HERE now.